Brand New Home Not to Be Missed!!! YES, you have read it right. This brand new 4 Bedroom home could be yours either you are looking for First Home or Investment. Just a couple of minutes drive from Schools, Colleges, Supermarket and Train Station, MK Realty is proud to represent this beautifully planned 4 Bedroom 2 Bathroom and 2 Garage home with low maintenance front lawn and back yard. This home is perfect for First home buyers or Investors, young families or old couples, growing kids or for someone who need to move to a totally new home. 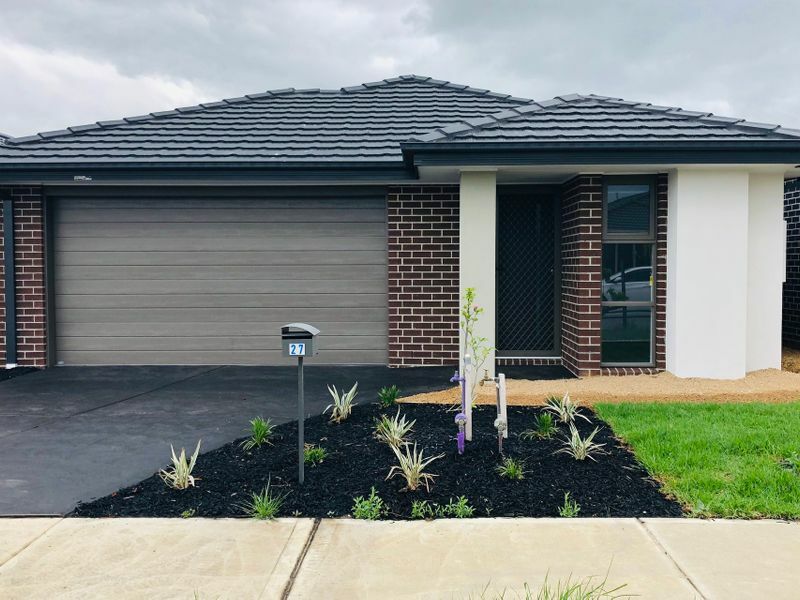 This home will give you 7 years home owner warranty, quality inclusions, 5KW reverse cycle airconditioning (Heating/Cooling), caeserstone benchtop to kitchen and vanities, 900mm stainless steel appliances, downlights throughout and with complete fencing. Don't miss the chance to have a look before it is SOLD. Kindly contact Manjot Singh (Mandy) on 0449258722 or Patrick on 0424936180 for more information or to book a private inspection. Photo ID is must for all open home inspections and private inspections. Become an MK Realty VIP & receive a FREE Building a Home Checklist straight to your inbox!